Yesterday, I offered my first impressions of Asda's latest big idea to lessen waste and boost the profits of farmers, as well as providing cheap, healthy food to customers. The Wonky Veg Box is packed with imperfect seasonal veg and provides a wealth of opportunities to get creative with meals. 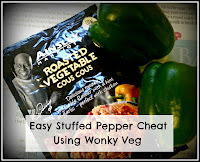 Today's recipe will take care of the green peppers and use up the cabbage left over from yesterday's roast dinner. 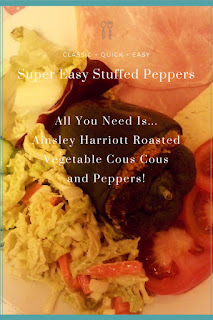 Stuffed pepers look quite exotic when served, but are ridiculously easy to make, as is the homemade coleslaw. It's all pretty healthy too! 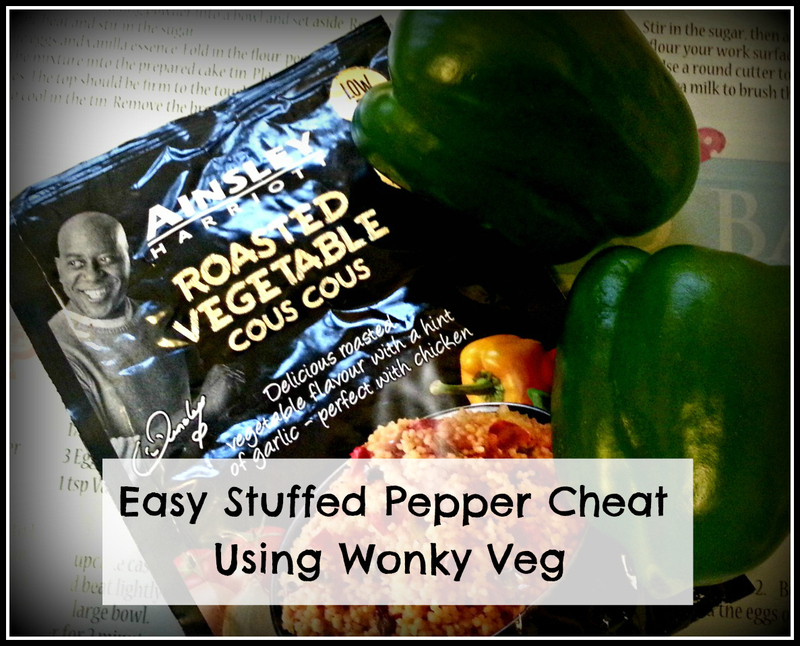 Peppers and good old Ainsley's five minute couscous. Ok, it's a bit of a cheat, but it's delicious and no one will know! It's also pretty low calorie, so it really is a win-win dish. 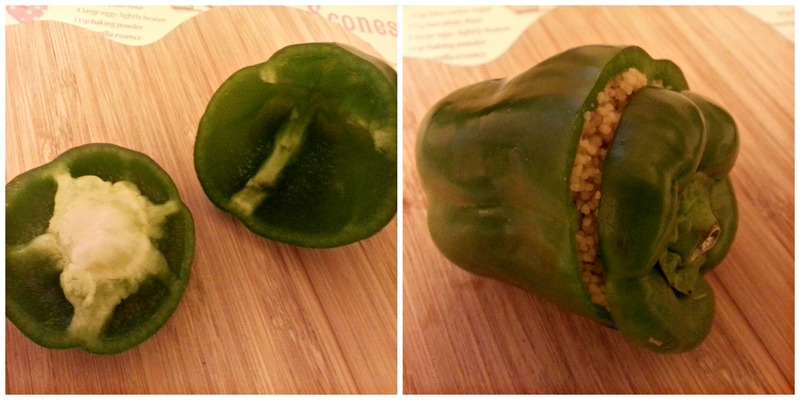 Incidentally, these are the actual peppers that came in the box. The 'blemish' is at the base of the bottom pepper. See it? Need a magnifying glass?! Peppers are generally quite expensive, so I was more than happy to accept these 'misshapen' offerings at a fraction of the cost. All you have to do, is make the couscous, as per the instructions on the packet, hollow out your pepper and cram in as much couscous as you can (that's the fun part!). Bake in the oven for 20 minutes at 180C - 200C, depending on the efficiency of your oven. Slice the ingredients and add to a bowl in equal quantities. 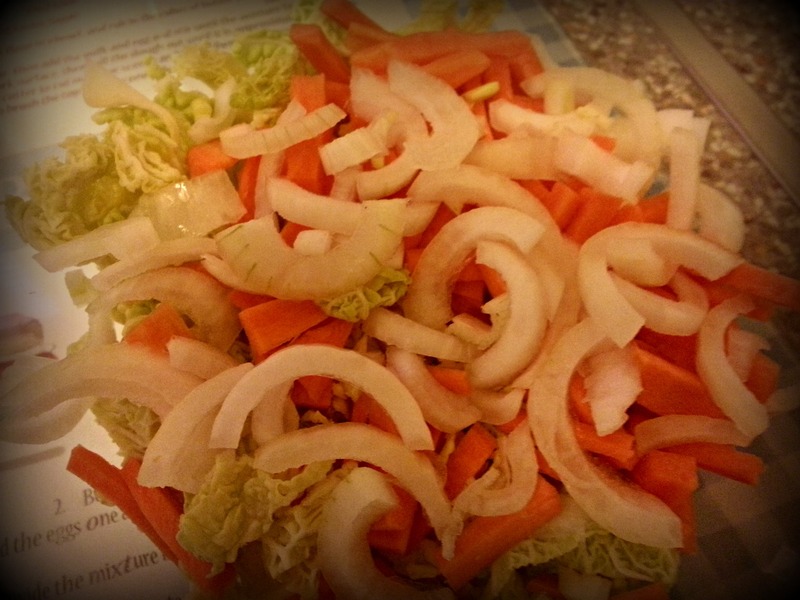 If you like finer shredded veg, you can use an electric chopper or processor. Add mayonaise and mix well. 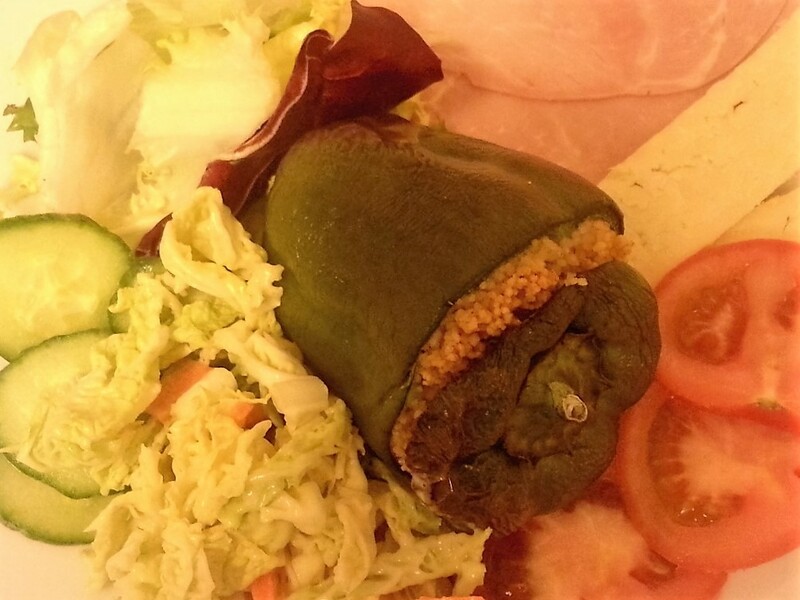 The lovely colours will brighten up a boring salad or jacket potato, with very little effort. There were only two green peppers in the box, so I couldn't say this recipe fed the whole family, but the boys didn't mind, they hate peppers anyway! 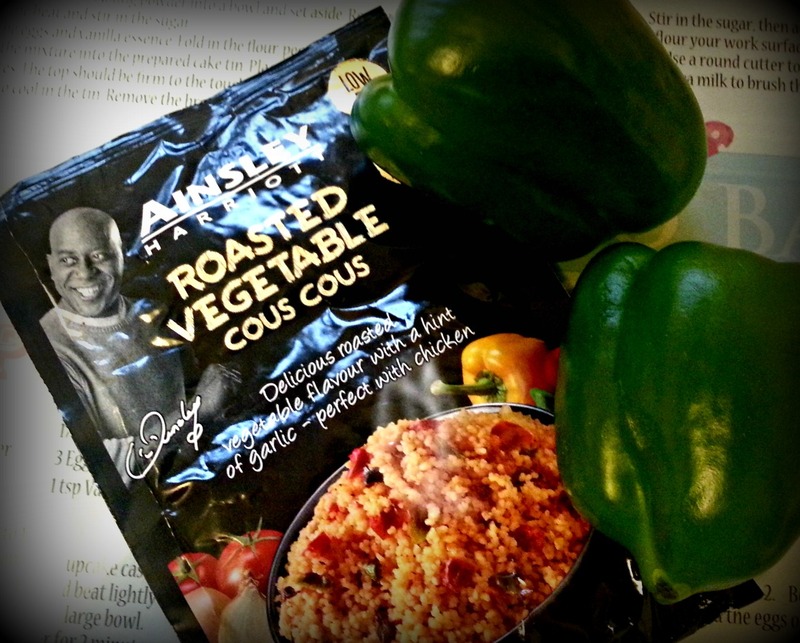 lovely recipe and I love the flavours in Ainsleys cous cous- I eat it almost daily! !